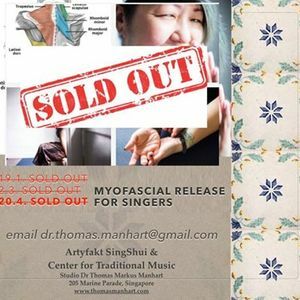 Myofascial Release is an effective and enabling practice for reducing tension, correcting muscular imbalances for posture correction, rehabilitating physical injuries and releasing emotional trauma. 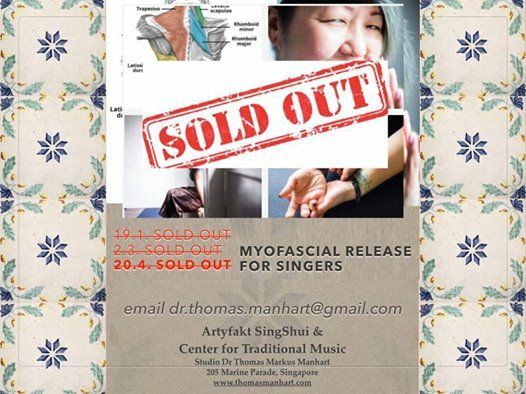 This workshop is jointly devised by Amanda Koh, an international yoga and movement teacher, and Dr Thomas Manhart, vocal pedagoge, both drawing from experience and expertise in their respective fields, working on the specific needs of singers, addressing fascial restrictions and postural imbalances specific to the art of singing. There will be an immediate difference in mobility and ease, translating into a noticeable difference in your voice.